John Malmin. 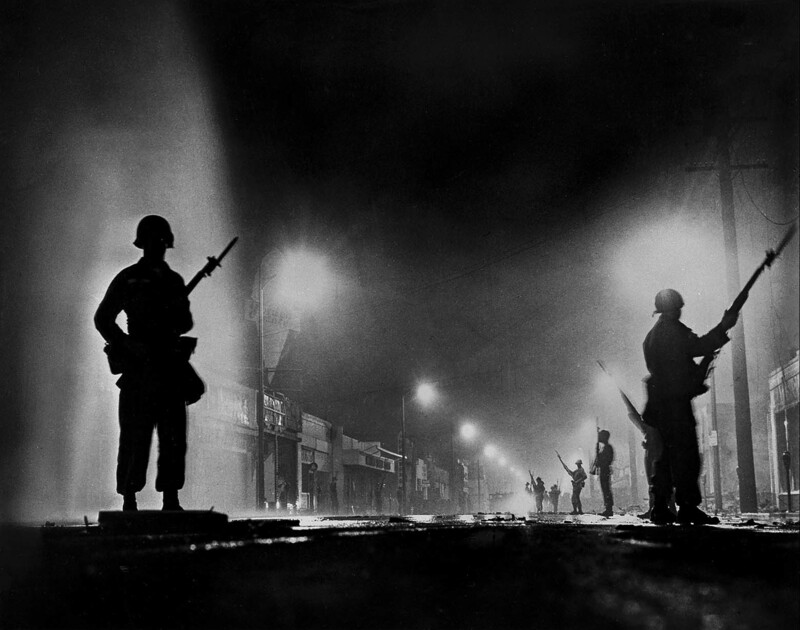 Aug. 13, 1965: National Guard troops secure a stretch of 103rd Street, dubbed Charcoal Alley, in Watts to help Los Angeles authorities restore order. This image is looking east from Compton Avenue.